In my life, I have been on both ends of the hiring process. And, to be honest, I hated both sides equally. I'm a Canadian and a bookkeeper. So, things like confrontation, self-promotion, and awkward interactions fall pretty low on the list of things that make me happy. I was terrible at hiring people when I had to, so I will be the first to admit I have purposely avoided it ever since. In the life of any small business there will come a time when you need to collaborate with, if not outright employ, other people. You might just need someone to clean the office once a week, contract someone once to build your website, or you might need a small team to run your manufacturing division. If you want your business to grow, you will need to make this decision at some point. The one thing I have learned is this: the best time to hire someone is BEFORE you really need them. Hiring a tax professional the day before your taxes are due is too late. Employees take time to train. Subcontractors have other clients. It's important to see the warning signs early, so you have time to act before problems come up. 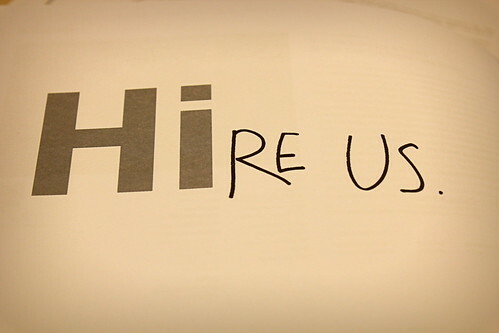 Here are 3 ways to tell it's time to hire someone. This is the big one that, if ignored, can lead to your business being much less hectic...in a very bad way. I have had seasons when this was a big problem. The stress of running a business, combined with the stress of missed deadlines isn't good for your business or your health. Sometimes this is seasonal. For example, Mar/April is crazy for me because of tax returns. In order to keep food on the table, I need to have plenty of regular bookkeeping clients every month. Then, in the Spring, I can't just ignore them for 2 months and focus on my yearly tax clients. Well...I can, but that tends to make for angry clients. You know...the ones who have been feeding my kids the other 10 months of the year. So, I know that 2 months out of the year, my schedule is going to border on unmanageable. Maybe your business is really business in the summer, or over the holidays. In those cases, I see 2 choices. Bring on someone temporarily to help you through those seasons. Find a way to plan ahead, and spread out the work over a longer period of time. If you're a bookkeeper, the second one is possible with some planning. If you are doing the books AND the tax returns for a client, there's no reason their returns need to get done in April. Plan to have their books ready for filing in February. You'll still have their regular books to do in March and April, but getting some of the tax work done in January and February helps a lot. If it's clearly not seasonal, you need to make a decision. You either need to scale back the workload, or find someone to help. Everyone's busy, and most clients will understand that you have a lot to get done. Eventually though, they will get tired of delays and missed deadlines. What you delegate to someone else brings us to my second point. 2. You constantly avoid (at least) one aspect of your business. What's piling up on your desk...either physically or virtually? If you haven't filed your taxes since 2007, maybe you need to find a bookkeeper. If you have 200 messages in your inbox, and 40 more in voicemail...maybe you need to hire an assistant. Very few people like EVERY aspect of running a business. You probably don't need to sit down and figure it out either. I bet you already know what scares/bored/confuses you about being a business owner. Unfortunately, you need to stay on top of all of the departments in order to become successful. Figure out what department you tend to avoid, and consider letting someone else handle it for you. 3. You want to grow beyond what 40/60/80 hours per week can do. At the end of the day, you are only one person. This point saddens me, so I feel your pain. I wish I could work 40 hours a day, spend another 40 per day with my family, and get a restful 8 hours of sleep each night. But until I figure out cloning or time manipulation, I'm stuck with the same 24 hours and the same non-mutant body. If your vision for your business includes significant expansion, there's going to be a point where you become the bottleneck to that vision. Maybe you want to open a second location or offer 24 hour support. Whatever it is, if growth is a goal then you will need to seek out help. If that is the case, it's much better to get help before you realize you're in over your head. Adding hiring and training to your plate when you're already swamped will be a lot to manage. I really think one of the things that will make your business a success is identifying when you need help. We all want to do it all, and it's very rare that we can. Acknowledging the fact that you need help, and taking the time to find the right person/people/company to provide that help is a big step. The most important thing is that you spend time doing what makes your business special. You all have unique skills that you offer your clients and customers. Finding someone to help you with the less important tasks frees you up to do what got you into this business in the first place. And that's how you create happy customers and a healthy business.